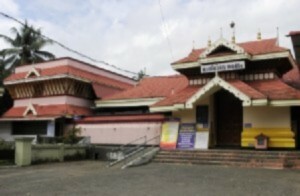 Thiruvullakkavu Sree Dharma Sastha temple is one among the important temples where Navaratri festivals are celebrated. Navaratri festival 2018 in Thiruvullakkavu Sree Dharma Sastha temple will be celebrated from October 10 to 19 with various artistic programs. The 10-day long celebrations will be ended with Vijayadasami ceremony / Vidyarambham on October 19. 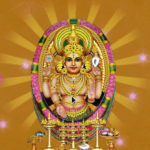 Ezhuthiniruthu or Vidyarambham is the main program on Vijayadasami day. Thousands of children in the age group of 3 to 5 were initiated into the world of letters in this day. Various art forms will be staged in the evening till Vijayadasami day. The last day of Navarathri festival (19th October 2018) will be celebrated as Vijayadasami.